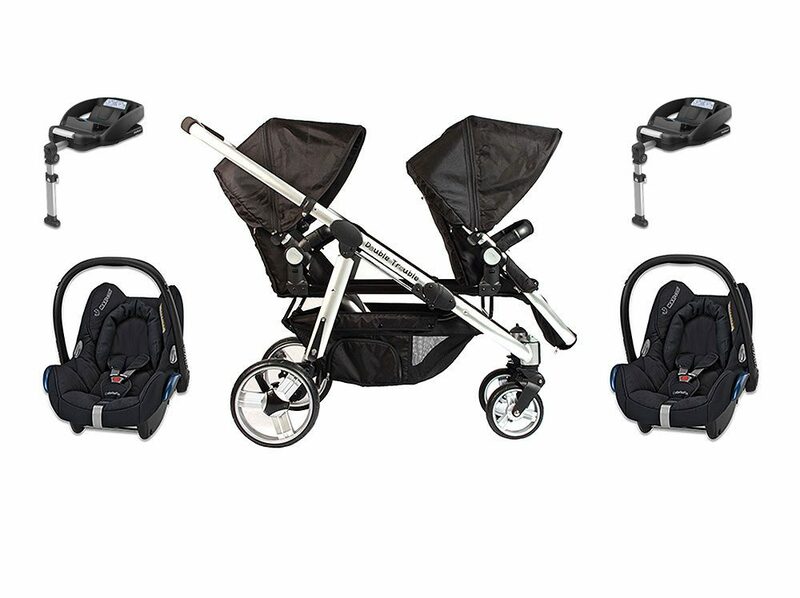 Practical, trendy and essential, this package will provide for all your basic needs with a few added extras. 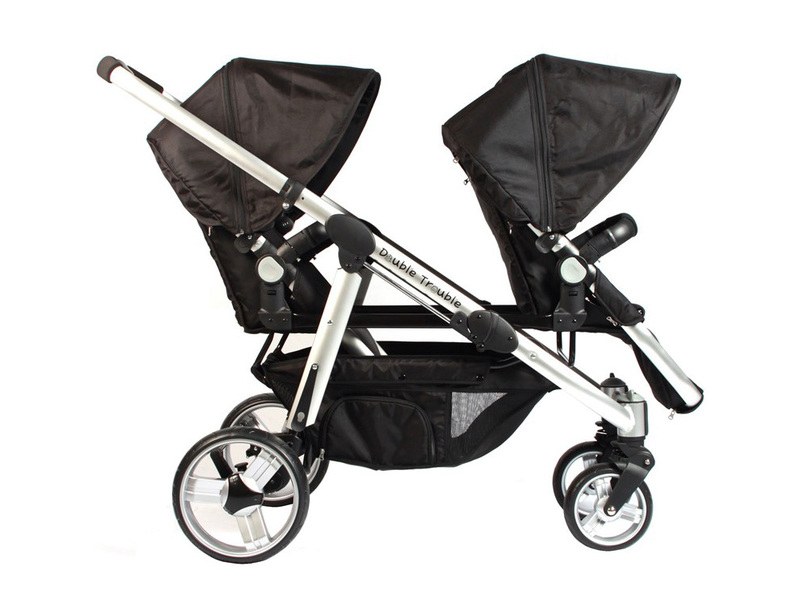 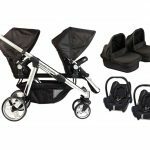 The Essential Delux package includes the Double Trouble Twin Pram, two Maxi-Cosi car seats and two Maxi-Cosi EasyFix car seat bases. 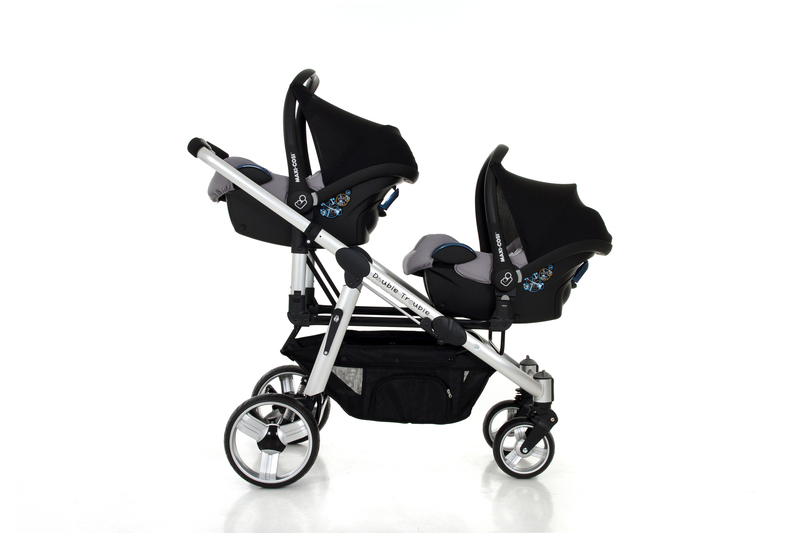 Maxi-Cosi has designed these sophisticated bases that indicate when the car seat has been installed correctly. 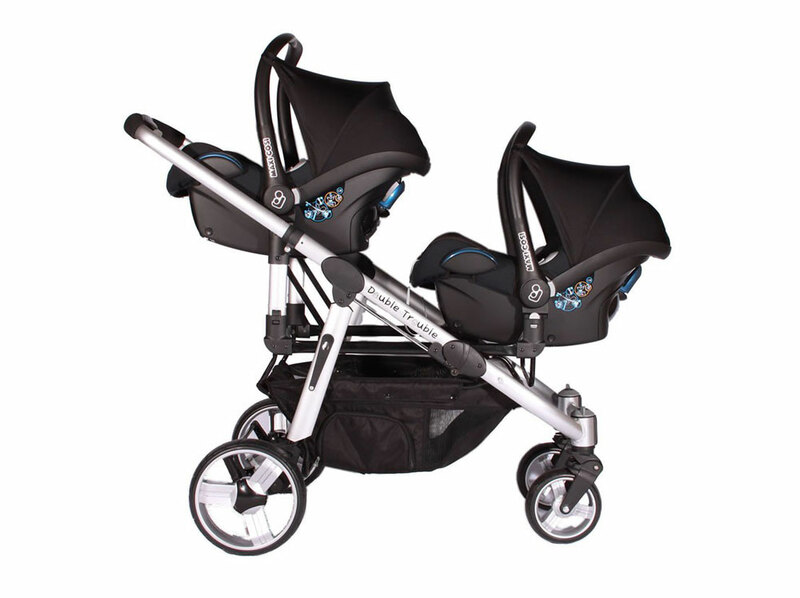 The Maxi-Cosi EasyFix is extremely practical as you simply click the car seats onto the base unit thus reducing the packing time. 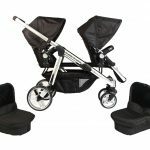 There is no need to use additional seat belts which is great for small ladies or ladies with small cars as it can become problematic to get around the car seat to buckle them in. 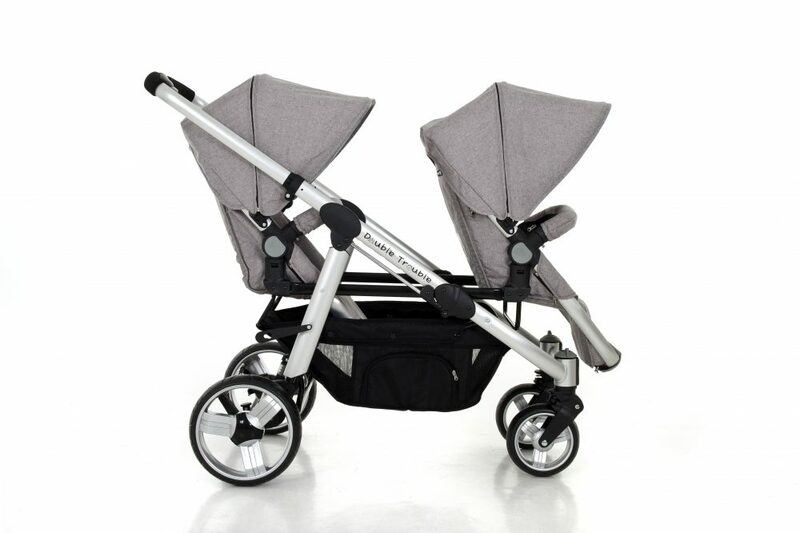 This also provides extra protection for babies that are born in winter as it limits exposure to the elements.